Catch the Greatest NBA players vs the Gilas Pilipinas players face of for a charity event. 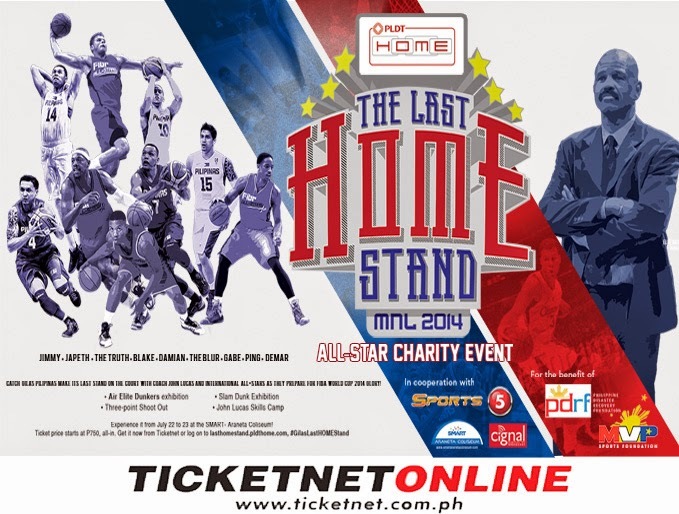 Watch Blake Griffin, Damian Lillard, Paul Pierce, Demar Derozan, among other NBA superstars on July 22 and 23, 2014 at the Smart Araneta Coliseum. NBA Rosters: Blake Griffin, Damian Lillard, Paul Pierce, Demar Derozan, Kawhi Leonard, Kyle Lowry and more TBA. Buy your tickets at ticketnet.com.ph.